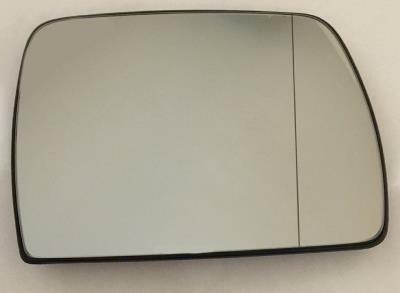 Genuine BMW wide angle heated mirror glass for the right side. This fits BMW X3 E83 models made up to September 2009. The BMW part number is 51163404626. Please check this against your VIN number using the BMW electronic parts catalogue to make sure it is correct for your car before buying. If you do not know how to do this, send us the last 7 digits of your VIN number and we will check for you.